Since its founding in 1994 by Michael H. Slayton, Ph.D., Guided Therapy Systems (GTS) has become a world leader in ultrasound imaging and therapy with technologies sold across the globe by many of the most recognizable and respected names in medical devices. In fact, GTS is the first company in the world to develop and commercialize products that combine both ultrasound imaging and intense therapeutic ultrasound to offer physicians the unprecedented ability to image and treat with the same equipment, thus targeting and evaluating tissue prior, during and after a procedure. After many years developing ultrasound imaging systems and transducers for large strategic manufactures, GTS began developing new therapeutic ultrasound technologies. The first applications were minimally invasive and included the identification and destruction of non-resectable tumors. GTS would eventually separate into two companies. Going forward, Guided Therapy Systems would focus solely on incubating new commercial opportunities for its intense therapeutic ultrasound platforms, while the newly formed, Ardent Sound, Inc. would commercialize its own line of ultrasound imaging devices. Ardent Sound remains to this day as GTS’s exclusive FDA registered developer and ISO 13485 certified manufacturer. GTS’s first commercial success came in the form of Ulthera when GTS brought intense therapeutic ultrasound to the forefront of the aesthetic device landscape. As a result, GTS became the first company in the world to develop and commercialize a product that combines both ultrasound imaging and intense therapeutic ultrasound to offer physicians the unprecedented ability to image and treat with the same equipment, thus targeting and evaluating tissue prior, during and after a procedure. In 2009, Ulthera became the first and remains the only energy-based technology with an FDA indication for non-invasive tissue lift. Since then it has been used to treat millions of patients by physicians around the world. In addition to the aesthetic industry, GTS has expanded its focus to address chronic pain resulting from injuries to ligaments, tendons and muscles through the creation of Actiosund. This next generation ITU technology is the first and only non-invasive ablative device for pain reduction associated with chronic musculoskeletal injuries. The Actisound system received CE mark in 2018 and is currently available in select European markets as well as Australia and New Zealand. Today GTS has more than 250 patents issued, published, and pending in support of our imaging and Intense Therapeutic Ultrasound (ITU) technologies as we continue to create new ultrasound technologies. longer, healthier, and better lives. Throughout the years our partners have included government agencies, leading research institutions, well-known and respected financial partners, and many of the most recognizable names in medical devices – all together representing a global body of work dedicated to the advancement of ultrasound technology. Before founding Guided Therapy Systems, Dr. Slayton served as Vice President of Advanced Development and Board Member for Dornier MedTech GmbH (a Daimler Benz Company). 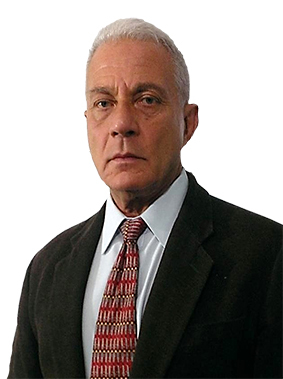 He has more than 30 years of senior management and technical responsibility in engineering, development, and manufacturing functions; focused primarily on new diagnostic and therapeutic ultrasound applications. He has helped develop over 70 commercially successful products ranging from electron beam and laser instruments to a variety of ultrasonic systems, scan heads, and transducers. Dr. Slayton has published more than 50 technical papers and has been personally awarded more than 200 patents issued, published, and pending. He is a visiting faculty member at the University of Arizona’s College of Engineering. His degrees include a M.S. in Quantum Radiophysics and a Ph.D. in Electrical Engineering from Kiev State University and USSR Academy of Sciences, respectively. 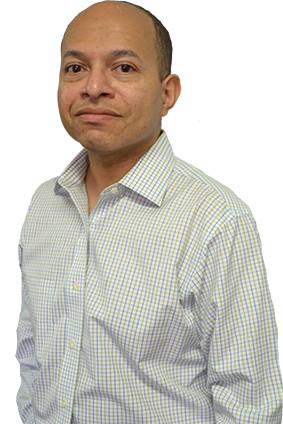 Dr. Barthe has more than 23 years of R&D experience in the medical ultrasound imaging and therapy field. In his capacity as President and CEO of Ardent Sound, the exclusive development partner to Guided Therapy Systems, Dr. Barthe has led a broad spectrum of activities in the areas of design, development, testing, clinical evaluation, regulatory clearance, and manufacturing for Guided Therapy Systems. Dr. Barthe has published or presented over 23 technical papers and has been awarded over 29 US and international patents, with over 53 pending. He earned a PhD in Electrical Engineering and a Doctoral Certificate in Acoustical Engineering from the Georgia Institute of Technology and an MS degree in Electrical Engineering from Stanford University. Dr. Barthe is a member of the Institute of Electrical and Electronic Engineers (IEEE), Acoustical Society of America (ASA), American Institute of Ultrasound in Medicine (AIUM), the American Association for Advancement of Science (AAAS), and the International Society for Therapeutic Ultrasound. Steve Zastrow is responsible for the worldwide commercialization of GTS’s Intense Therapeutic Ultrasound technologies. 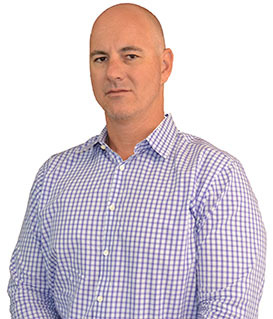 He serves as President of Actisound Limited, GTS’s commercial business unit in the United Kingdom, and is charged with managing GTS’s marketing and sales teams as well as negotiating joint ventures and corporate partnerships. Steve is also the lead executive responsible for GTS’s external communications, financial management, and day-to-day business operations. With more than 20 years of executive and consulting experience, Steve has advised many prominent organizations, throughout the United States, plan and execute transformational, strategic initiatives. Prior to his work in the private sector, Steve served as the Mayor’s Chief of Staff for the City of Tempe, Arizona. He has a Bachelor of Arts from the University of Arizona and a Masters in Public Administration from the University of Southern California. Steve is a member of the Leadership Circle at Phoenix Children Hospital, and serves on the International Advisory Counsel of the American Society for Laser Medicine and Surgery (ASLMS). He also represents GTS in the corporate community through organizations such as the Arizona Technology Council, AZBio, and the Greater Phoenix Economic Council. 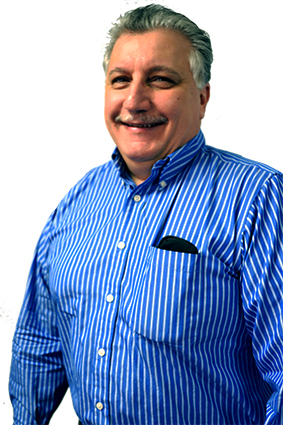 Rich Amodei has more than 35 years in health care and the medical device industry, working for companies including GE Medical Systems and Acuson before joining Guided Therapy Systems as Director, Clinical Support. Rich is responsible for the pre-clinical testing and evaluation of new technologies and provides on-site ultrasonic imaging, training and support for GTS-sponsored and GTS partner-sponsored clinical studies. He is a Registered Diagnostic Medical Sonographer and a member of both the American Institute of Ultrasound in Medicine and the Society of Diagnostic Medical Sonographers.